Welcome to the home page of British poet Victor Tapner. The site contains a selection of published work, including the poems Kalashnikov, winner of the Cardiff International Poetry Competition, and Dancing for Monsieur Degas, winner of Scotland's Wigtown competition, together with a number of other prizewinners. My latest collection Waiting to Tango won Templar Poetry's Straid Award and was launched in 2016 at Keats House in London. It views the world through the prism of history and a cast of characters from the realms of art, music and science: Hepworth to Haydn, the Curies, Jacqueline Kennedy, Alan Turing and others. Building on my previous collection Flatlands, it spans the centuries from the Renaissance to the nuclear age. The New Writer magazine's 2008 poetry collection prize. 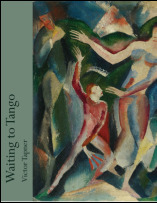 Several of those poems, as well as some other prizewinners, are included in Waiting to Tango. Banquet in the Hall of Happiness is the 2015 winner of the Munster Literature Centre's Fool for Poetry chapbook competition. It was launched with a reading at the Cork International Poetry Festival in Ireland in February 2016, and is published by Southword Editions. A sequence of poems published on this website and included in the collection was shortlisted for the Manchester Poetry Prize in 2013. A full-length collection of poems set in Britain's deep tribal past, Flatlands came out in 2010 from Salt Publishing. The cycle, which seeks to bring to life more than 2,000 years of East Anglian prehistory from the late Stone Age to the Roman invasion, was shortlisted for the Seamus Heaney Centre Prize for Poetry and won the poetry prize in the East Anglian Book Awards as well as the International Rubery Book Award in 2014. Part of the cycle won the Writers Inc. Writers-of-the-Year bursary in 2005. You can read excerpts from the book on this site. My article 'Finding Flatlands: a journey through prehistory' on the writing of the collection was first published on the Salt website, and is also published here. A wide-ranging interview with me about Waiting to Tango appeared on BBC Essex. The interview starts about 3 hours 18 minutes into the programme. A reading of 'Kalashnikov' is included in The Poetry Programme, RTE Radio 1, featuring interviews from the Cork International Poetry Festival. It was broadcast on February 13, 2016. The 'Poem Alone' slot changes from time to time according to whim or weather. At the moment it's Before Lunch, which was first published in The Rialto magazine.